Most of the 12 young people who died while in the care of Ontario's child welfare system had significant mental health challenges but limited or no access to appropriate help, according to a coroner's report released Tuesday. The investigation was struck in 2017. The panel of seven experts in fields including psychiatric care, mental health, working with Indigenous communities and residential placements in Ontario examined how the young people were cared for when they were placed in homes or facilities away from their communities. "The panel found that most of [the youth] experienced fragmented, crisis-driven and reactionary services and, in some cases, no services at all," the report says. It also found few families were able to access mental health supports when they were requested. The panel heard from 13 other young people with experience in the child welfare system, as well as staff from Ontario's Children's Aid and Indigenous Child Wellbeing Societies. In some cases, the 12 young people, eight of them from northern Ontario First Nations with many in remote locations, were placed in care hundreds of kilometres away. The deaths occurred between Jan. 1, 2014, and July 31, 2017. Eight committed suicide, the report says. "Throughout these young people's lives, there were identifiable points where early assessment and intervention may have prevented declining mental health," it says. "Some of the young people's families reported requesting support for their children's mental health very early in their lives and noted that they were not able to receive what they needed." One girl who died by suicide at age 12 had a history of self-harming for two years before her death, the report said. Despite "intensive intervention" being deemed necessary, she only received limited counselling and was prescribed no medication. One of the girl's siblings found her body. Her death was ruled suicide by hanging, according to the report. The report found their challenges were compounded by a number of other factors, including inadequate shelter on reserves, as well as a lack of clean water and equitable education or health care. In some cases, homes were overcrowded and lacked electricity or running water. Services in First Nations were often deemed inadequate, including youth not having safe places to go when necessary. However, Indigenous youth removed from their communities to more urban centres faced other obstacles, like racism — including having things thrown at them — as well as general culture shock, including being removed from connections to elders, land-based teachings and traditional ceremony. "The panel found that the services provided to the eight Indigenous young people were largely unresponsive to these needs," the report said. It also said there was little to no culturally appropriate care that focused on prevention and family support. Youths with experience in the child welfare system told the expert panel that the young people often wanted to return to their communities as soon as possible. The investigation found a number of similarities in the 12 young people's residential placements, including distance away from their home communities, frequent transfers between homes and the conditions where they were living. "There is no minimum standard for capacity, supervision, qualification, training and education for staff and caregivers," the report said. It said young people rarely have the opportunity to have a voice in their care. "Their attempts to communicate their needs were often overlooked, ignored and characterized as 'attention-seeking.'" Additionally, frequent transfers between homes were common, the report said, including one young person who was transferred 18 times in 20 months. The report pointed to the "notably high" frequency of the use of physical restraints in the young people's placements, including cases where they were restrained for up to two hours. "There does not appear to be a shared understanding of the different intervention models or a standard or consistent approach to them." Improve basic infrastructure and social services in Indigenous communities. Provide integrated services to every child in Ontario, including health, mental health, education and child care. Enhance the quality and availability of placements for young people in care. Take a holistic approach to service for high-risk youth up to age 21. Better public reporting and documentation on placements and aid societies. The report also said that, while Ontario has a "blueprint" for improving quality of care in residential placements and that some of its initiatives address the expert panel's recommendations, many others aren't scheduled to be in place for several years, "which the panel asserts is unacceptable." "The young people in Ontario's care are in precarious, unsafe situations now — they cannot wait another seven years for meaningful action." 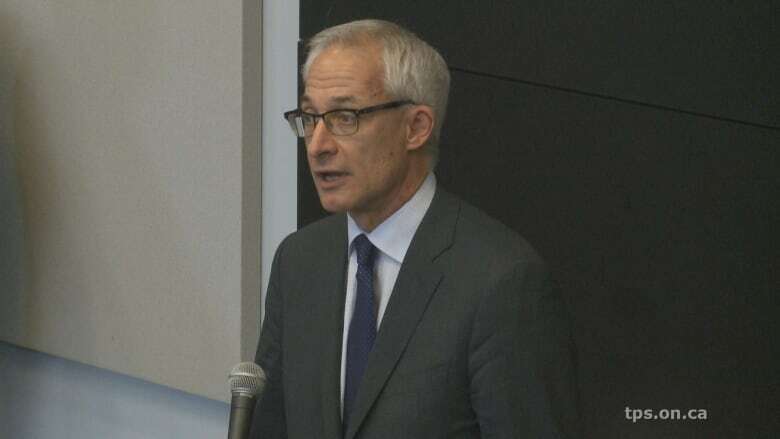 The report also says ongoing or planned work by the province failed to address systemic issues identified in the investigation. In a statement Tuesday, Lisa MacLeod, Ontario's minister for children, community and social services, welcomed the panel's report and said it will help the provincial government "address this urgent issue in a co-ordinated fashion." "We are committed to using the expert panel recommendations to bring comprehensive, systematic changes to Ontario's residential care services and to the broader child and youth-serving sectors," MacLeod said.